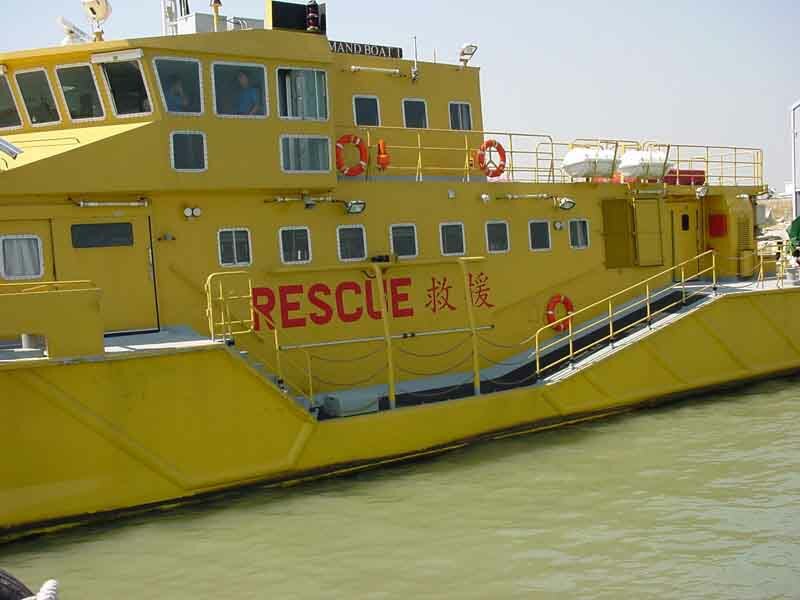 A Rescue Zone provided on each side of the Main Deck is close to the sea surface to facilitate sea rescue operation. Two rolled Cradles are installed at the bow. 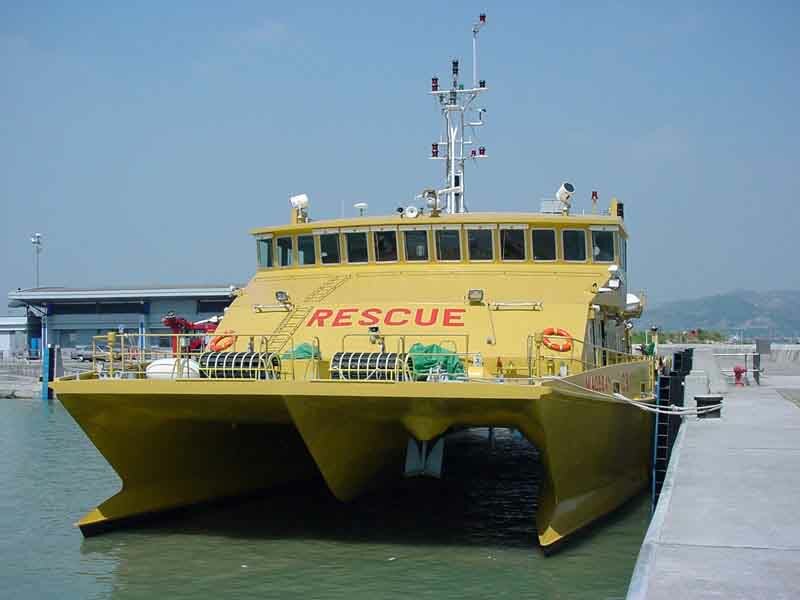 Another two stowed on board can be fixed at the Rescue Zones if situation requires. 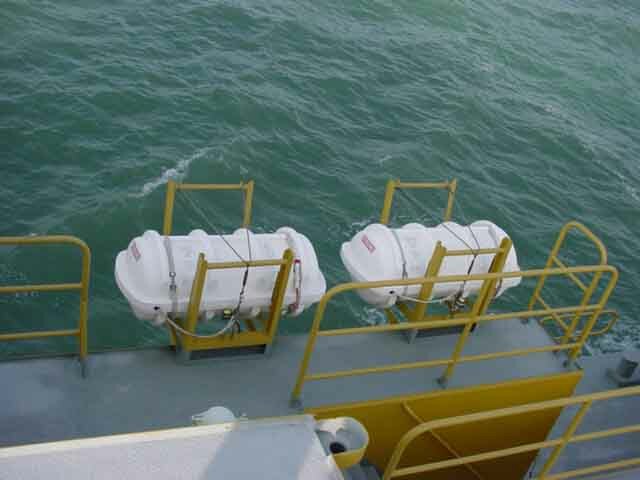 The Cradles can speedily be lowered to provide a means for the survivors in the sea to climb up by themselves to the Command Boat. 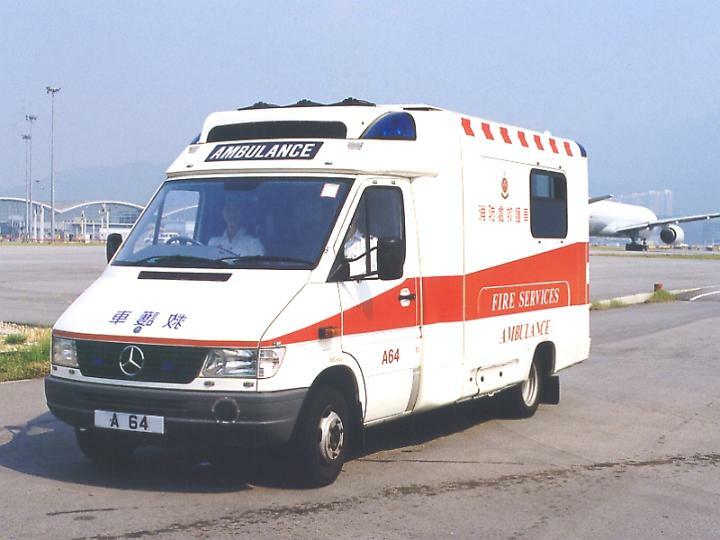 Two folded Ramps are fixed at the Rescue Zones. 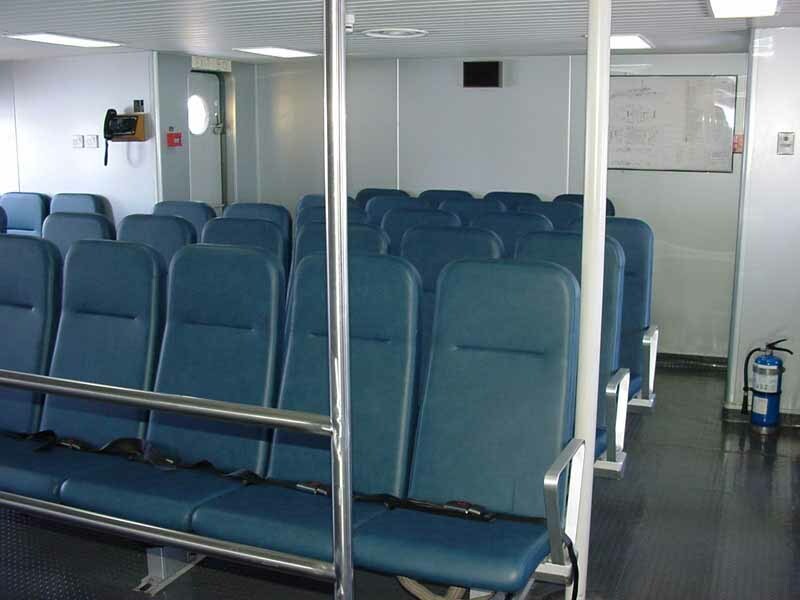 Another two stowed on board can be affixed at the Rescue Zones at any time to meet operational needs. 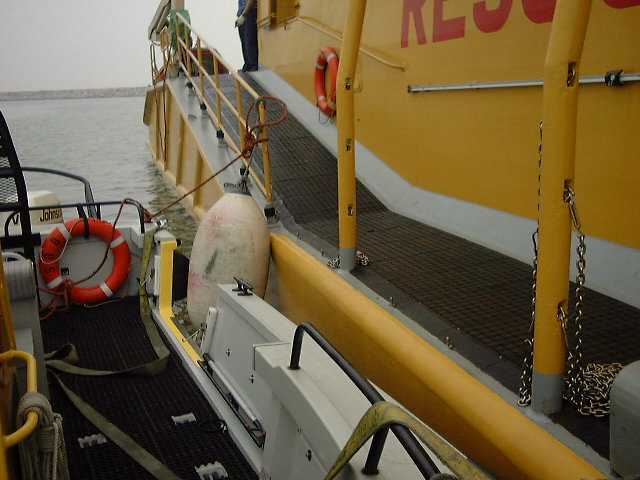 The Ramps can speedily be inflated for the rescuers on board to pick up the survivors from the sea. 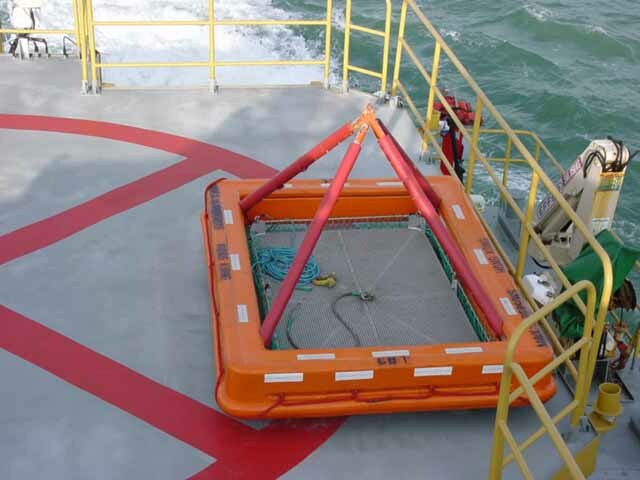 2 Rescue Baskets, each with a rescue capacity of 6 persons, are placed on the Upper Deck. 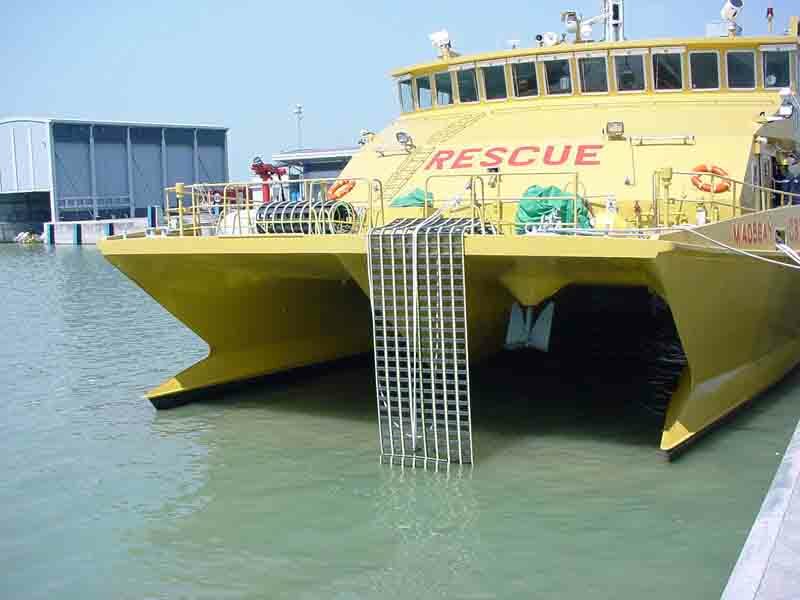 They are used for picking up unconscious survivors from the sea. 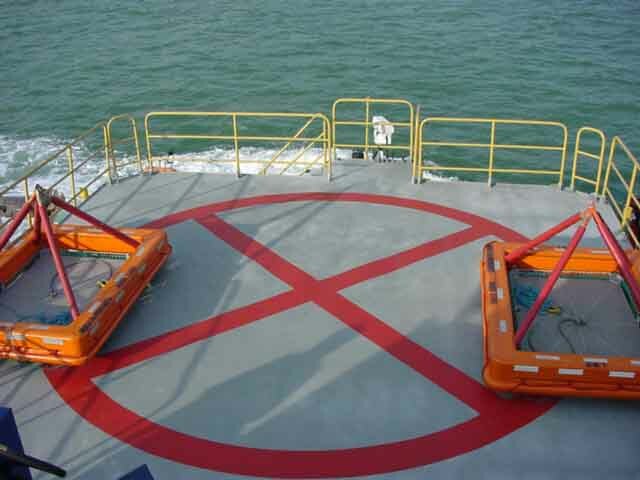 A Helicopter Winching Zone is provided for airlifting casualties. 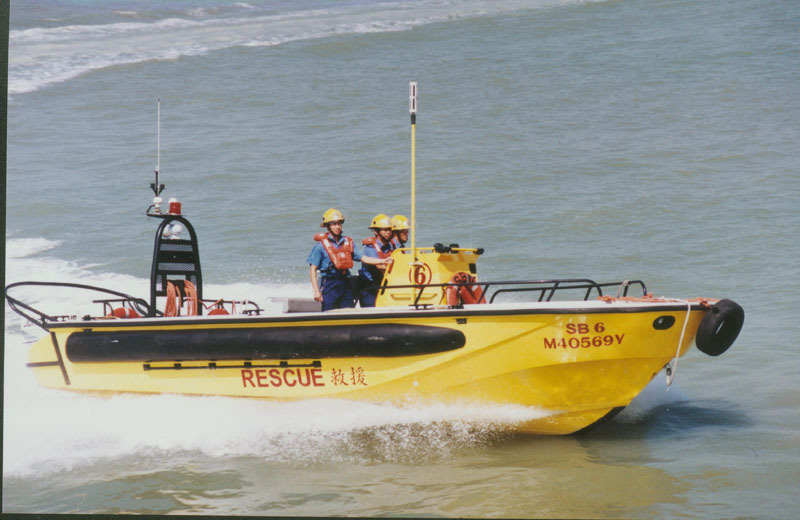 A Rescue Boat equipped with two 50HP outboard engines is mounted at the starboard stern of Command Boat. 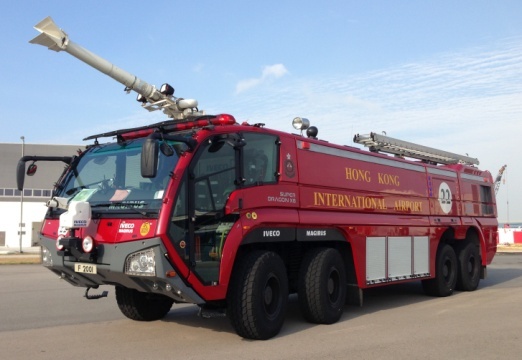 It can tow a fully loaded inflatable life raft. 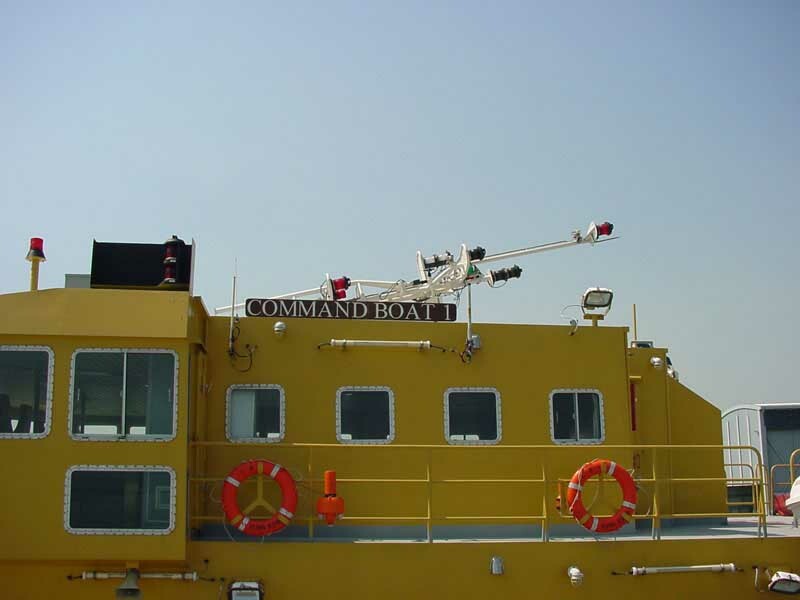 2 Hydraulic Cranes are installed on the Main Deck, one on each side of the stern, for lifting heavy objects such as the Rescue Basket, the Daughter Boat, etc. 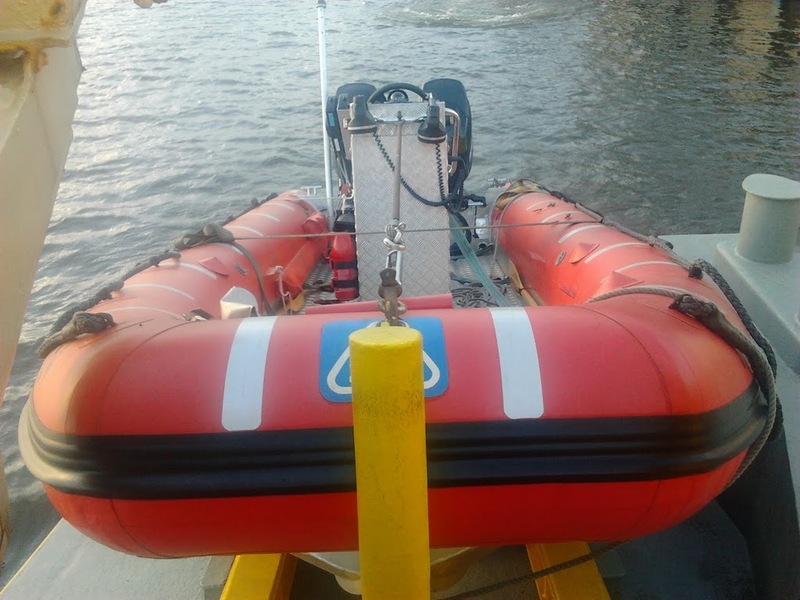 A total of 10 Inflatable Life Rafts are affixed on both sides and the stern of Command Boat. 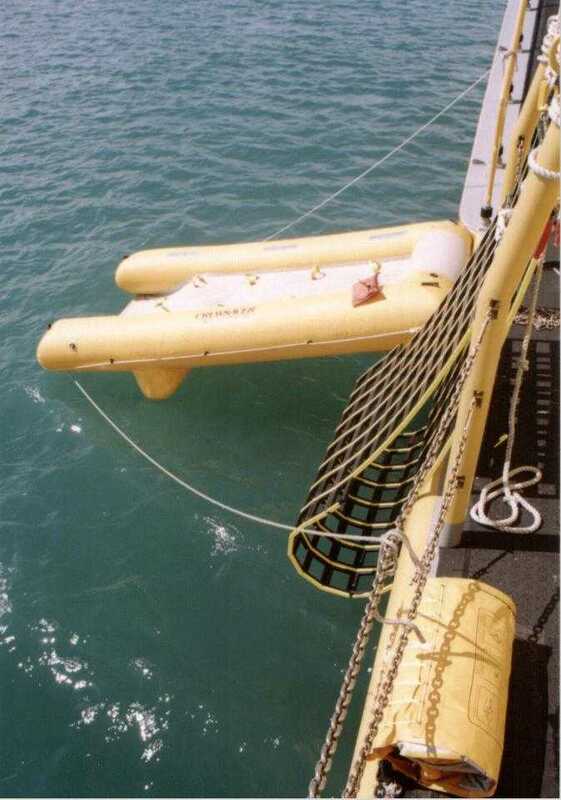 Each Raft, after inflated, has a rescue capacity of 30 persons. 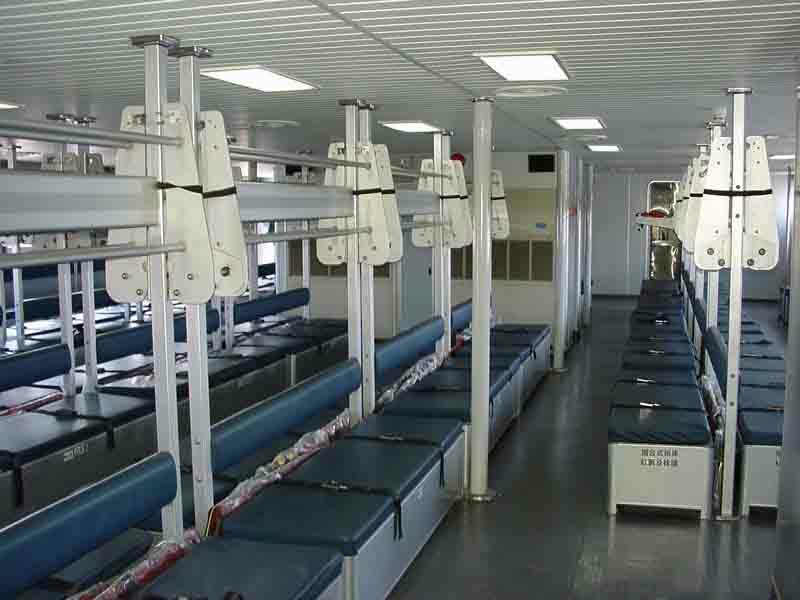 2 Cabins are provided on board with a total rescue capacity of 300 persons. 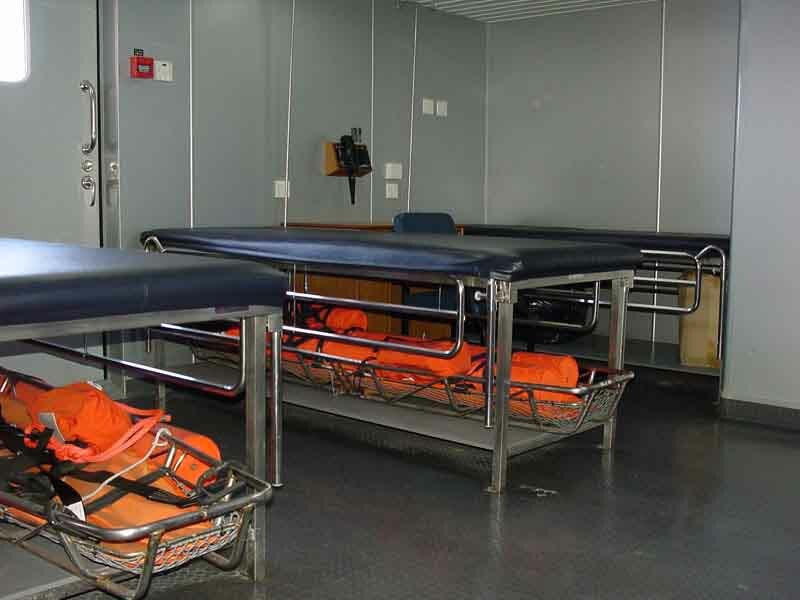 5 surgical beds are provided in the Medical Room situated on the Main Deck. 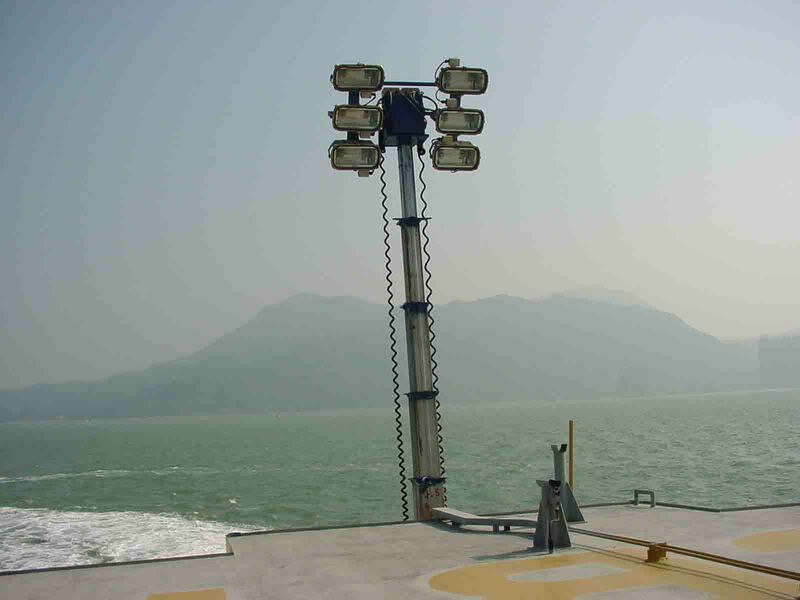 A Light Mast fitted with 6 x 1000 watt floodlights can be raised up to 7m for the illumination of scene of accident. 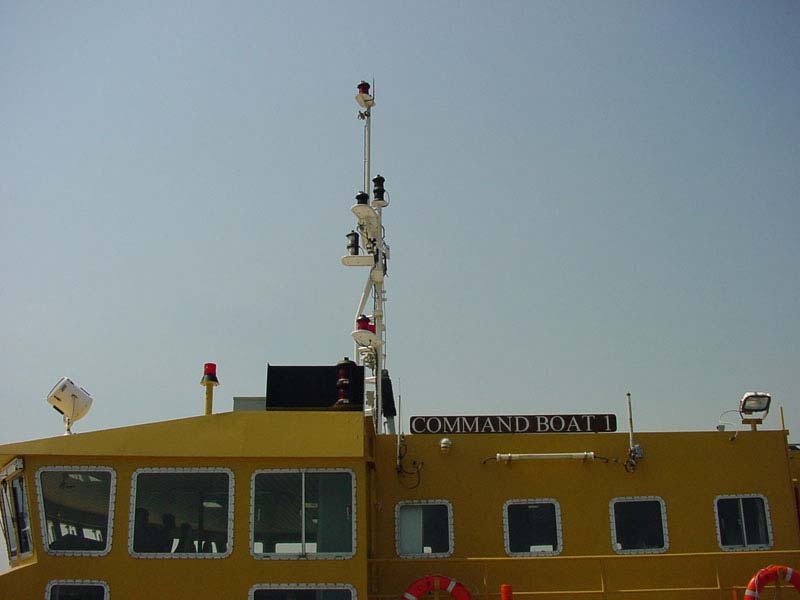 A Navigation Mast fixed on top of the Wheelhouse must be lowered for the Command Boat to pass under the bridges connecting the airport and Tung Chung. 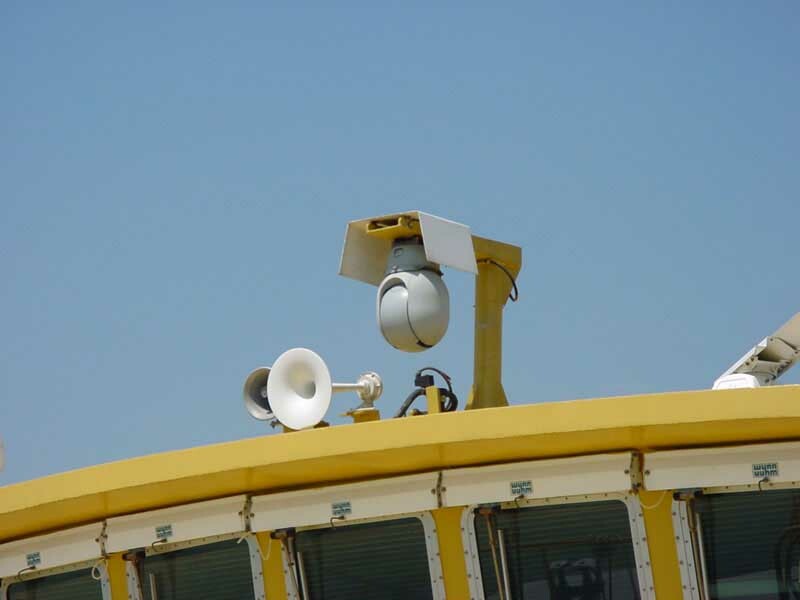 The Night Vision System is used for searching lives and objects in the sea especially during low visibility or the hours of darkness. 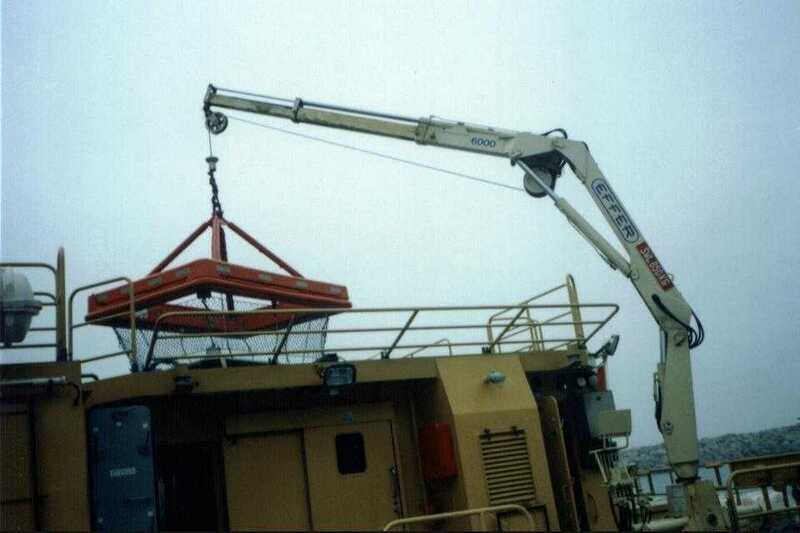 The camera of Night Vision System fixed on top of the Wheelhouse. 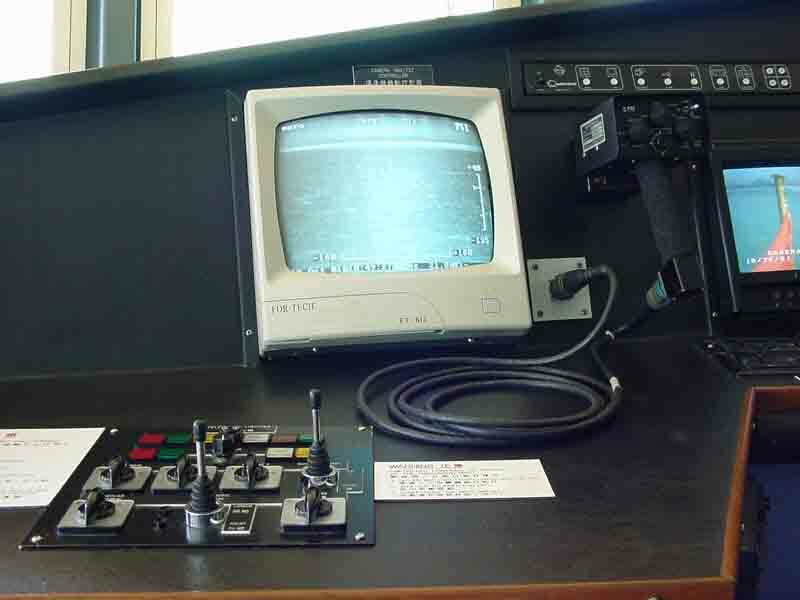 The monitor of Night Vision System installed in the Wheelhouse. 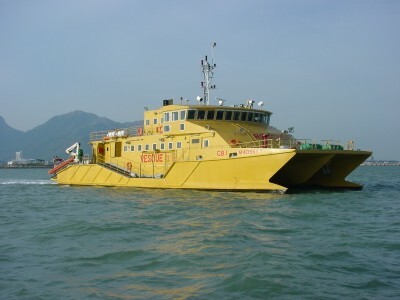 The System is a navigation aid, which can provide various navigation information. 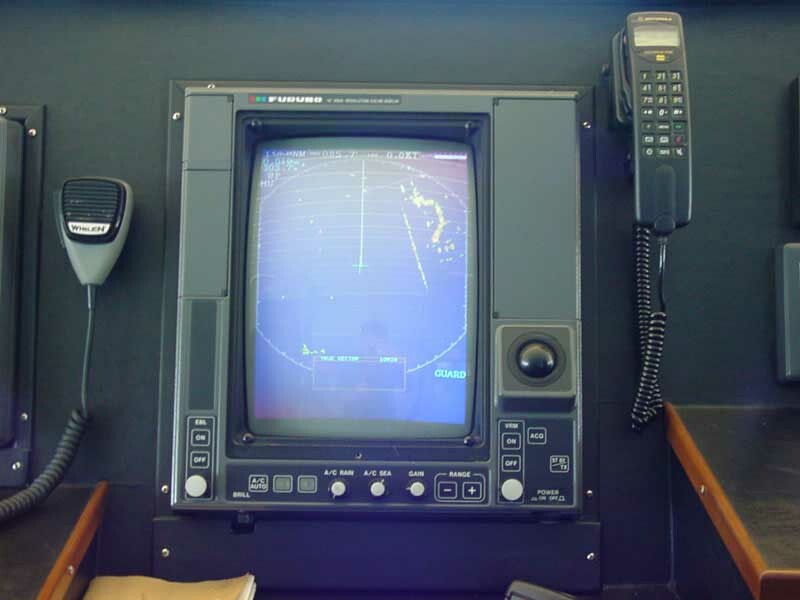 The radar is also a navigation aid, which can locate the objects and vessels in the sea during low visibility and the hours of darkness. 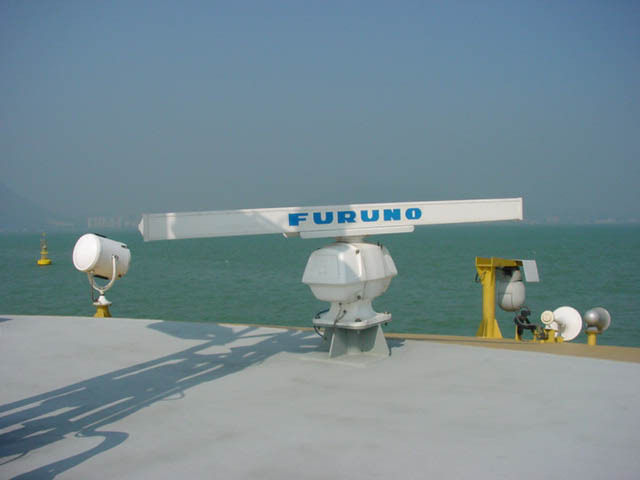 The antenna installed on top of the Wheelhouse. 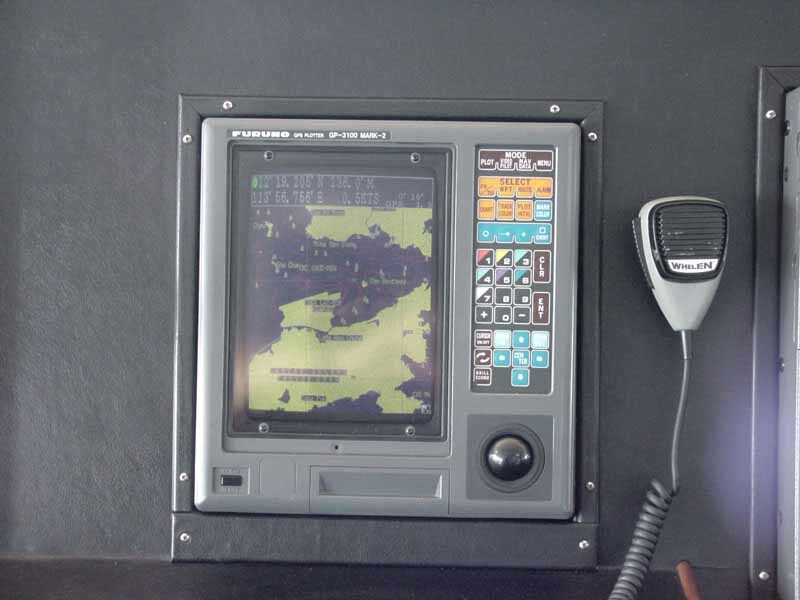 The Radar Display Unit installed in the Wheelhouse. A Sidescan Sonar consists of three major parts, i.e. 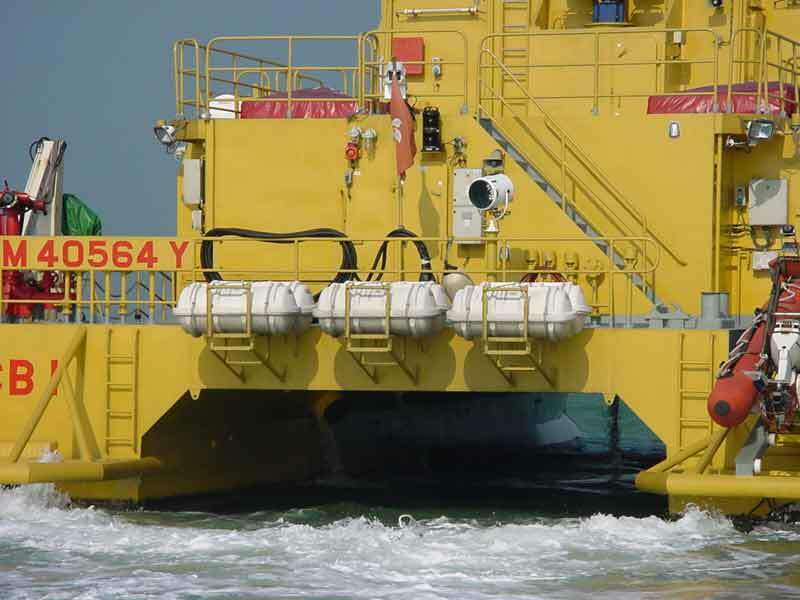 a towfish, a 150m fibre optic tow cable and a computer. 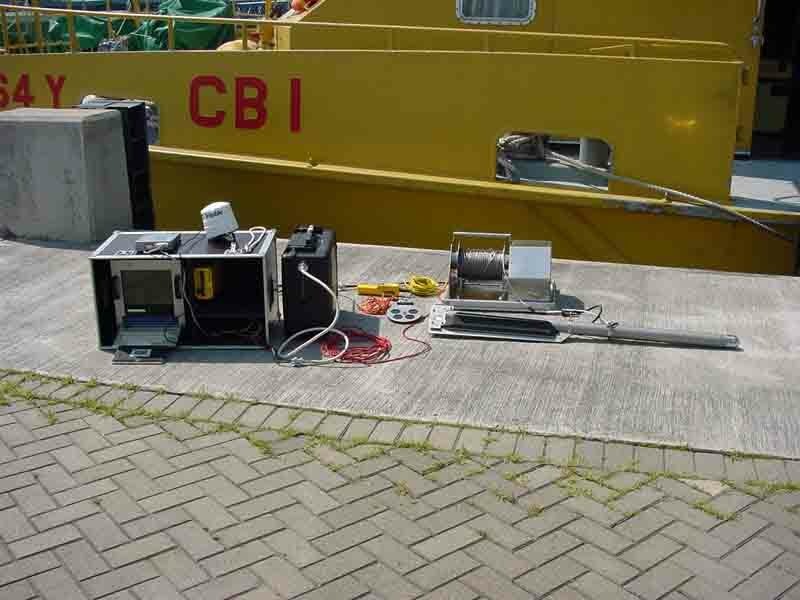 The system emits ultrasonic waves to search for underwater objects and wreckages. 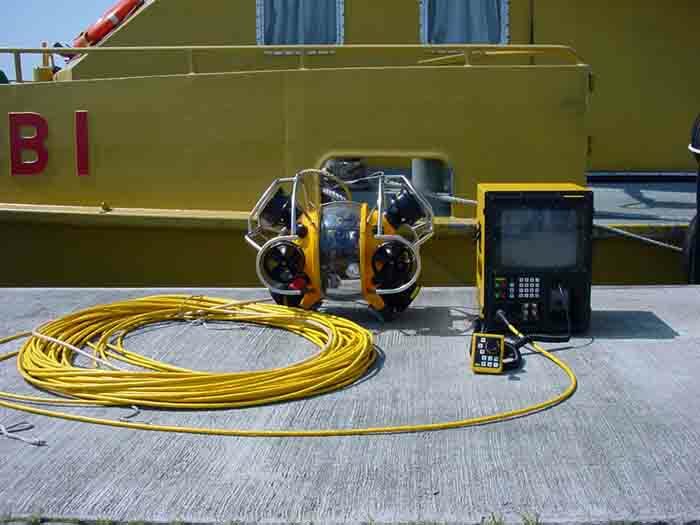 An Underwater Camera is a remote control underwater video camera and is used for underwater search and visual inspection for submerged objects and wreckages.